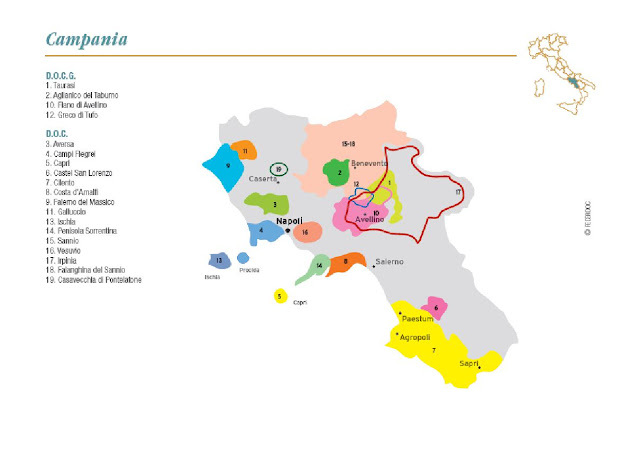 This month for our ItalianFWT (Italian Food, Wine & Travel) monthly group is exploring volcanic wines and food or travel to the regions of Campania and Sicily (also volcanic wine producing regions). After hearing about this month's topic I immediately though southern Italy and more specifically Campania. Today I'm taking you to the region of Campania, which I've mentioned before is where my dad's side of the family is from. I have yet to go to his home town of Candida in the village of Avellino, but I will make it there some day. Especially since Avellino in particular makes some fantastic wines. I'm always intrigued by wines that are grown on volcanic soil and the characteristics that they impart into the wines. Avellino is in a part of Campania known as Irpinia that is known for producing many of the DOCG wines of the region including Fiano, Greco di Tufo and Taurasi (made of aglianico). The fiano grape that I'm sharing today is also known as vitis apiana stemming from the word apia for bees known for it's sweetness that the bees are attracted to. Fiano is a grape known for it's aromatics and nuttiness, although I didn't pick up nutiness in my particular bottle that I'm sharing with you today, but it's beautiful bouquet showed lovely in the glass. I tasted the 2013 Fratelli Uriuolo Monte Faliesi Fiano di Avellino. Fratelli Urciuolo began in 1996 by two brothers, Antonello and Ciro Uricuiolo. There was very good knowledge of what the soil was composed of as within the Uricuiolo family there had been generations that had planted chestnut trees and knew the soils well. There are traces of volcanic ash and clay within the soil of the land they own. Antonello's drive to go learn to become a winemaker at the university triggered him and his brother to make their father's dream of winemaking a reality. The brothers produce about 50% of their own production that's hand harvested and the rest come from local growers. They are situated in the town of Forino about an hour south of Naples, but they have other vineyard sites as well. They started growing the fiano grape and have increased their production to include the other popular grapes of Campania: greco, falanghina and aglianico. 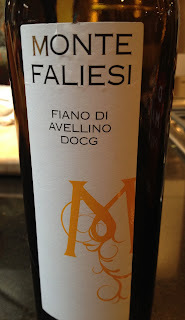 The 2013 Fratelli Urciuolo Monte Faliesi Fiano di Avellino DOCG is a straw color with a golden hue. On the nose are lemon, banana and minerals. It's a dry, medium to full bodied wine that has a creamy texture with good acidity and a little saltiness. It's a persistent and well-balanced wine that has the potential to age well. It retails about $20. 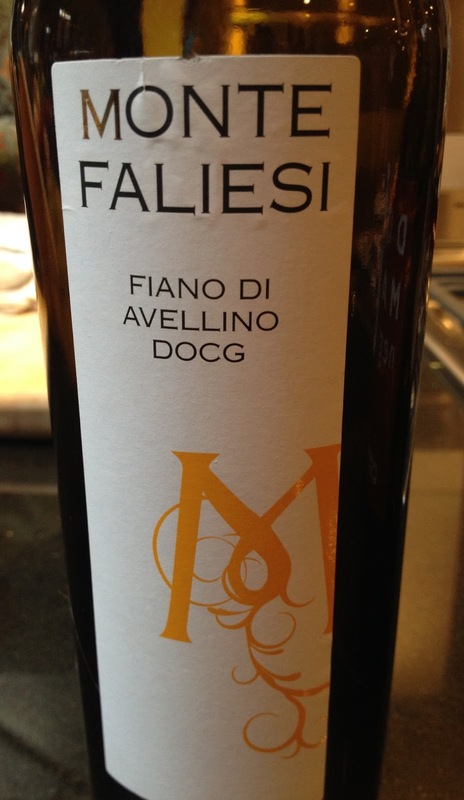 This Fiano di Avellino has been awarded the Tre Bicchieri award a number of times as well as their Taurasi wines. Have you tried the wines of Campania and have any favorites? Information sourced from Opici Wines. It's celebration time with Poliziano!